Every major city these days has museums to educate tourists and locals alike. Some cities, however, have better museums than others. Then there’s Chicago, which, in my opinion, is the best museum city in the entire nation. Maybe it’s the city’s cold winters. Maybe it’s the preponderance of smart people in and around town. Maybe it’s just because Chi-Town is one of the oldest and most storied places in the nation. 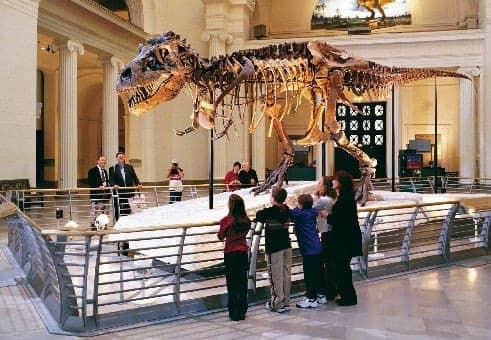 Whatever the reasons, this city’s museums – especially the Shedd Aquarium, the Field Museum, the Museum of Science and Industry, and the Art Institute of Chicago – are quite literally second to none. Technically, I guess, I’m biased. As an undergraduate at Northwestern University in the 1990s, I volunteered in the marine mammal department at the Shedd Aquarium downtown. During this era, my days were spent sorting frozen fish heads (for the otters and seals), scrubbing penguin guano off habitat walls and answering public questions near the beluga habitats. I spent most of my time working in the Abbott Oceanarium, a lakefront building with habitats containing 3 million gallons of saltwater and a variety of marine mammals. Also worth visiting: the main fish gallery (dubbed “Waters of the World”), which includes a stellar exhibit about fishes of the Great Lakes, and a circular tank from where divers interact with members of the public during feeding time once a day. The aquarium sits in a lakefront part of the city known as Museum Campus. Its neighbor, the circa-1921 Field Museum, is another great place to spend a day (or, really, a week). Think of this place as a natural history museum on steroids. It’s one of the largest natural history museums in the world, boasting more than 24 million specimens. It doesn’t just have a collection of dinosaurs – it has Sue, the largest and most complete Tyrannosaurs Rex skeleton on Earth. It also has a litany of incredible collections that includes everything from gems to archaeological artifacts, invertebrates (including insects) to fungi. The “Field,” as it’s known, also boasts some great public-facing programs, such as an on-site DNA lab you can watch through a wall of windows, and a weekly “Meet the Scientist” program, where kids can talk with researchers. Farther down the lakeshore, on the South Side of Chicago, the Museum of Science and Industry focuses squarely on engineering and innovation – not only in Chicago but pretty much around the nation. Regular experiences here include touring a U-505 submarine, marveling at an Omnimax film about a coral reef, and watching scientists work their magic (and blow up stuff) at live in-person chemistry demonstrations. Viewfinder Tip: Visit the Art Institute of Chicago on Tuesdays, when it’s free all day long. My fourth and final favorite museum in Chicago is a no-brainer: the Art Institute of Chicago. This is the everyday home for Grant Wood’s iconic “American Gothic” painting, as well as Edward Hopper’s “Nighthawks”. The place has about 30,000 other pieces under its domain as well, including a contemporary sculpture collection that makes Yoko Ono’s work seem dull. Like many locals, I prefer visiting the Art Institute on Tuesdays, when it’s free. 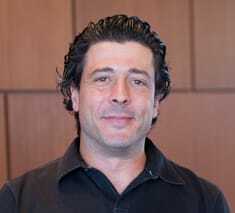 Another bit of advice: If you are planning to head off-site for lunch, don’t – the Italian food in Terzo Piano, one of three on-site eateries, is better than the stuff you might find in local restaurants, and it’s all the work of Tony Mantuano (of Spiaggia fame). Who says art can’t be something you ingest, anyway? What are some of your favorite museums around the world?